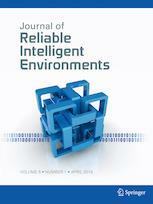 This journal focuses on theoretical developments and lessons learned in the deployment of Intelligent Environments. The coverage is broad, open and flexible, embracing all types of techniques which can increase confidence in Intelligent Environments systems. Topics examined include selection, installation and calibration of equipment; deployment and maintenance problems; requirements; modeling; simulation; testing; validation; people-centered computing; tools; software development process; issues of security and privacy; usability; safety; performance; scalability and large-scale integration; and more.